Disneyland's Sleeping Beauty Castle and Blaine Gibson's Partners statue are seen in this undated photo. 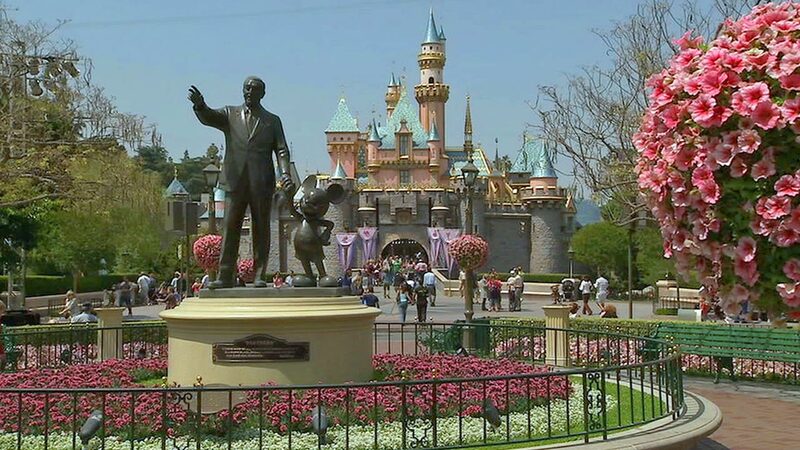 ANAHEIM, Calif. -- If you're headed to Disneyland, leave your selfie stick at home. Disney officials announced Friday that it is banning selfie sticks at its theme parks in Anaheim and Orlando beginning Tuesday. "We strive to provide a great experience for the entire family, and, unfortunately, selfie sticks have become a growing safety concern for both our guests and cast," officials released in a statement. Disney's parks in Paris and Hong Kong will start the ban July 1. Officials say guests will be able to turn in their selfie sticks to pick up later or leave them in their cars or hotel rooms. The sticks have been banned at a growing list of museums, music festivals and sports venues, including Coachella, Lollapalooza, the Kentucky Derby and the Smithsonian museums. The Associated Press and City News Service contributed to this report.